Home Starring of the Day Alfred Vargas and Yasmin Espiritu get married - again! Alfred Vargas and Yasmin Espiritu get married - again! 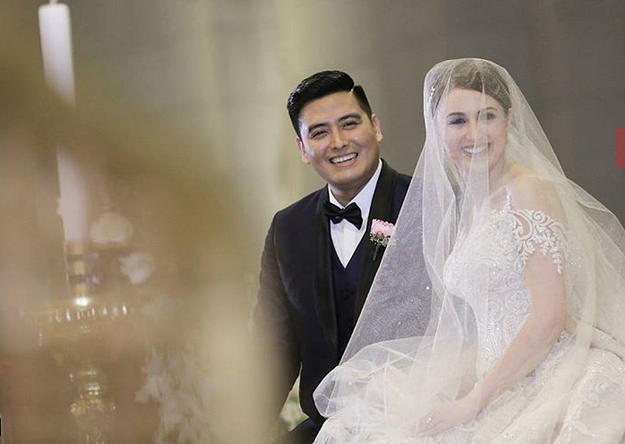 Actor-politician Alfred Vargas tied the knot with his wife, Yasmin Espiritu, again at the Manila Cathedral in Plaza de Roma in Intramuros on Sunday. The ceremony was attended by the couple's family members and friends in both showbiz and politics, including Vice President Leni Robredo, Mar Roxas, Kris Aquino, Lolit Solis and Dingdong Dantes. The two were already married in a civil ceremony last 2010.